So… that happened. I hadn’t shopped in good ol’ Space NK for such a long time and had a few beauties in my wishist, so it had to happen sooner or later! 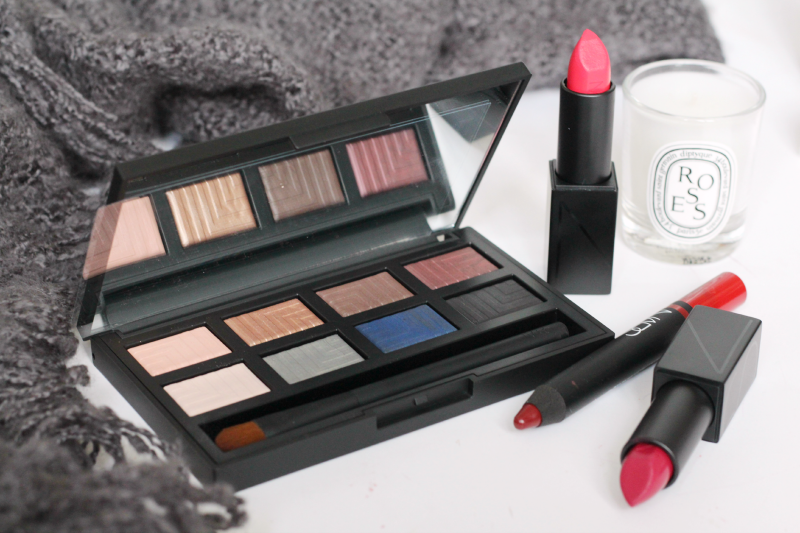 I went for a mix of skincare and makeup, so I’ll run through what made its way into my basket. First up is a brand which I’ve used only a little of, but they really impressed me. I have the Aurelia Refine and Polish Miracle Balm and I thought it was amazing, so bookmarked the brand for later. 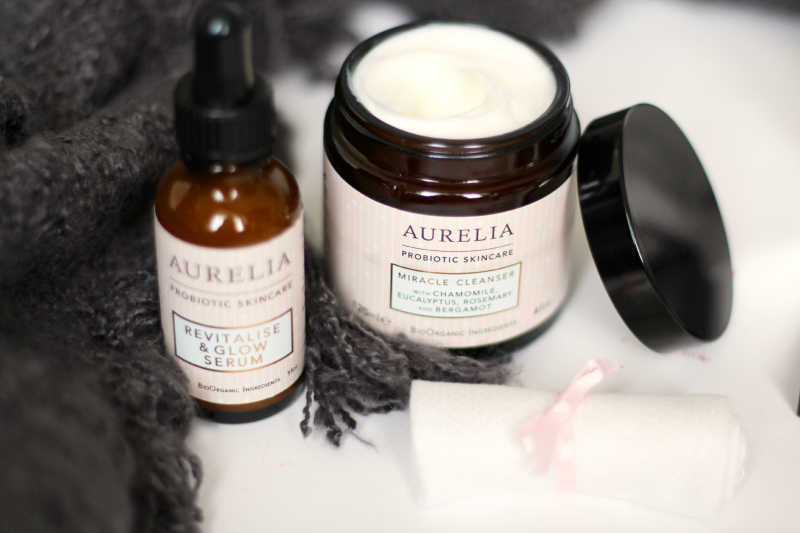 I decided on the Aurelia Miracle Cleanser, which I’ve wanted to try for months and am glad I eventually got it. I also went with the Aurelia Revitalise and Glow Serum, as I had a mini vial of it a while back and completely fell in love! It’s an amazing brightening serum and I really notice a difference in clarity whenever I used it. So happy to finally have the full size! Next is pretty much all NARS. Yup, NARS obsessed. I fangirled over the NARS Dual Intensity Palette when it first came out, so decided to bite the bullet and pick it up. First off, love the packaging, secondly the shades inside are so pretty! Definitely one I’ll get a lot of use out of. I had to get some new lipsticks (of course) so went with two from the Audacious line. After much googling, I went for NARS Audacious Lipstick in Vera (a berry tone) and Grace (a bright raspberry pink). They’re both super pretty! I also picked up my favourite red in the world which is NARS Satin Lip Pencil in Majella, as I had lost mine and couldn’t quite get over it. 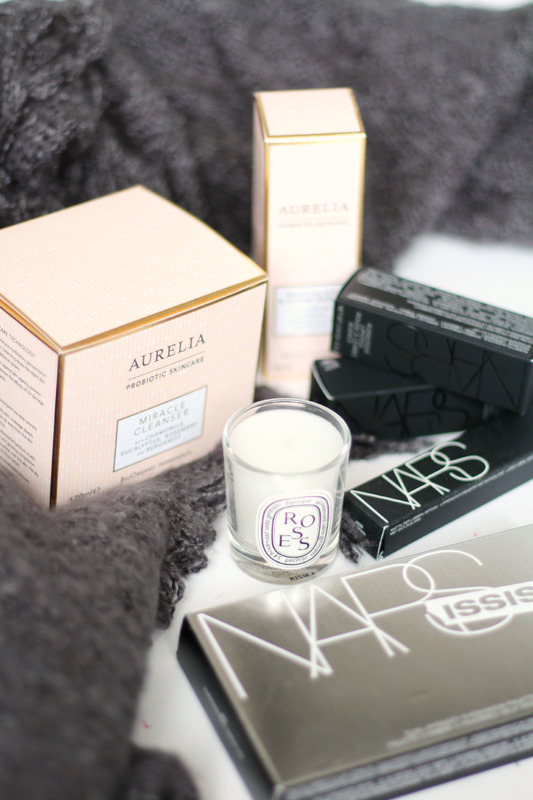 With ordering these, I got a free mini Diptyque Roses Candle too – bonus! What do you think of my little haul then? Have you entered my rose gold GHD giveaway yet? Someone’s gotta win it!